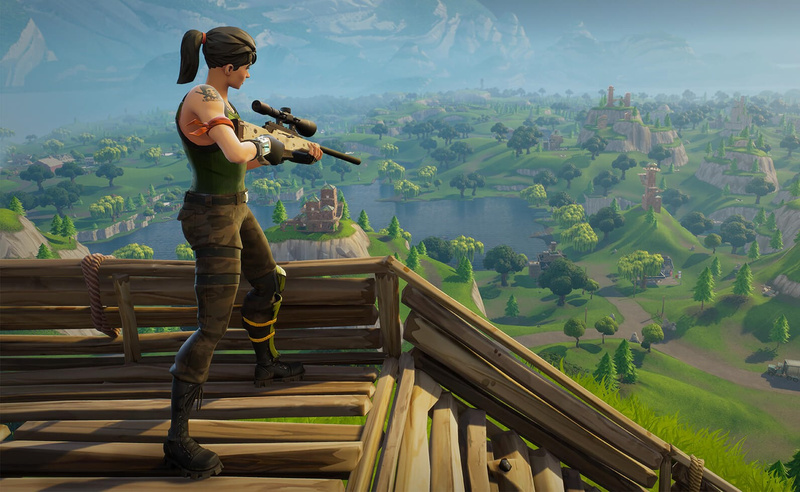 Fortnite has seen yet another update today, bringing the game to Version 5.21. 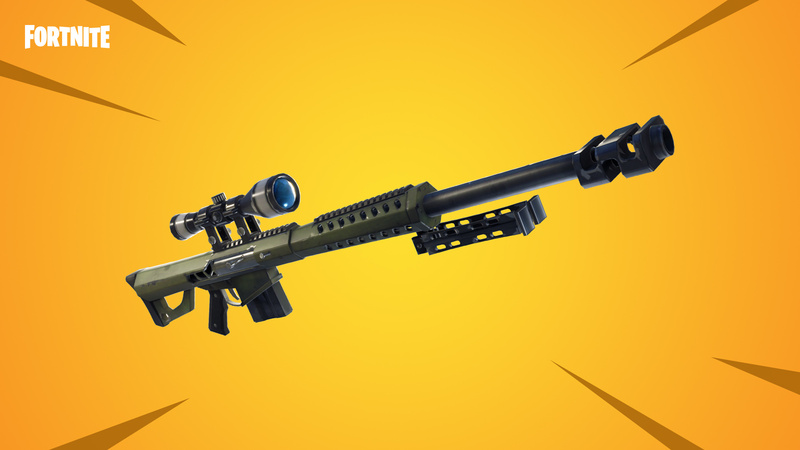 This time around we have a brand new weapon entering the fray, a new limited-time mode, and the return of Sniper Shootout. Kicking things off with the new weapon, players will now have access to the Heavy Sniper Rifle. This weapon allows you to deliver devastating damage to enemies but, perhaps more interestingly, it can do even more damage to structures. If someone's hiding behind a wall or two, simply use this to smash it to pieces - and then finish them off, of course. The weapon comes in epic and legendary variants, dealing around 150 damage to players, or 1050 to buildings. 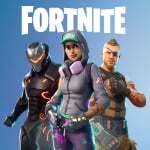 The latest limited-time mode added to the game is called Soaring 50's. This mode is a twist on the traditional 50 vs 50 mode, featuring an extra emphasis on mobility. Gliders can be re-deployed when falling from large heights, and additional Impulse Grenades, Bounce Pads, and Launch Pads will be spawned throughout the map. Essentially, when you're in mid-air and greater than 10m up, you'll be able to press 'jump' to deploy your glider. The Sniper Shootout mode has also made its way back to the game, tasking players with grabbing that Victory Royale using only sniper rifles. The new Heavy Sniper Rifle has been added to this mode - and the Scoped Assault Rifles have been removed - while, as you might expect, the only weapons you'll be able to loot are the available Sniper Rifles. Will you be jumping in to try out the latest modes? Are you getting through your weekly challenges? Let us know how you're getting on with the game in the comments below. Glad to see the Sniper mode back. It's literally the only interest I have in Fortnite, I really enjoy it. Otherwise I don't bother playing it. Glad to be able to glide! Makes perfect sense, specially if you are playing Zelda in parallel. I just need Mario to be able to do so and I’m done! It was great when Nintendo Life did a article and video highlighting the problems with the gyro controls in this game, but when a patch came out that made them even worse you have been completely silent on the issue! Unless I have missed something?